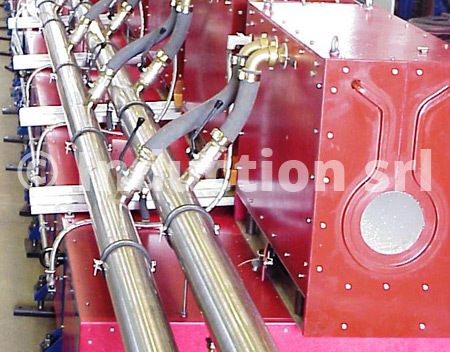 The difference between a common induction heating plant and an Induction ® plant isn’t based only on our reliability and technology, but most of all on all related professional services that are supplied to each of our Customers. Starting from specific technical advice, to high-care in the realisation, up to the support during pre and post sales. Thanks to more than 30 years of experiences, our technical office is a high-quality partner for designing and definition of all technical characteristic related to a new production line. Through an accurate feasibility study, we offer to Customers the best solution related to their specific problems, correlated of a study of production costs and operating profitability of the plant, in order to optimize all choices during the designing phase. All Induction’s plants are constituted by frequency static converters, which supply heating inductors, designed and designed by ourselves. The high electrical efficiency of our converters led to a high thermal efficiency of our systems, allowing us to a considerable reduction of energy consumption at same working conditions, in terms of production and temperature. Through a modular construction of our converters and the application of high technology products, we obtained a great reliability even in worst and not optimal working conditions, simplifying even all related maintenance jobs. To guarantee a reliable and uninterrupted functioning of Induction’s plants, our technical service is reachable through a simple phone call. The technical intervention will be accomplished by one of our on-field technician or, when it’s necessary, by one of our technician directly from our headquarter. By sending a technician within 24 hours or immediately through the remote assistance, we will guarantee to the Customer both the promptness and the professionalism of our services. 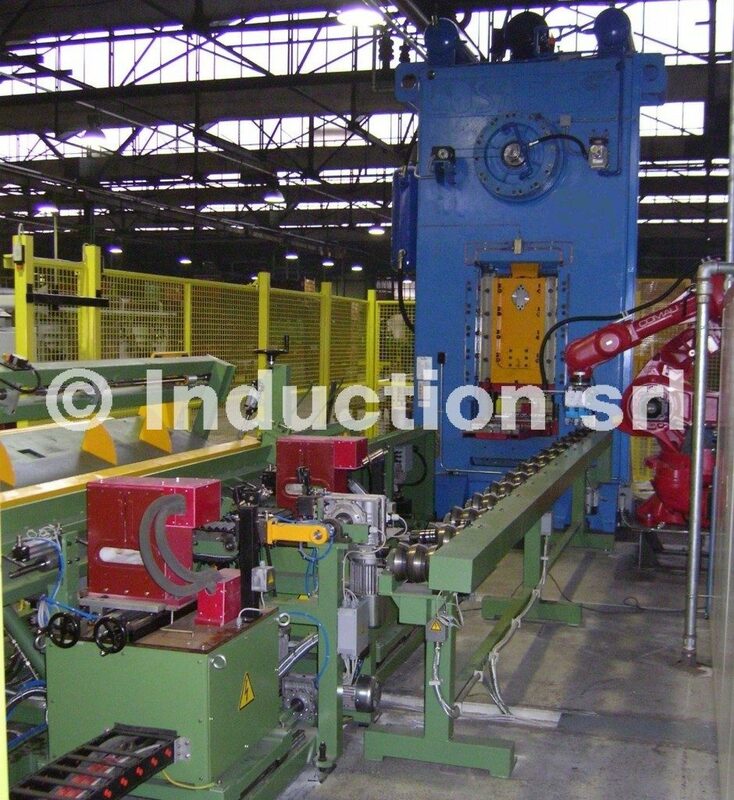 Induction heating applications cover several fields and to all mechanical components could be requested high adaptability: our technical office designs and realizes loading and unloading devices (in continuous or intermittent operations), manipulation devices on more axis under the press, management of pieces on storage and loading tables, etc. etc. All heating inductors realised by Induction guarantee the best heating quality according to project specifications. Besides standard inductors, we can design and realize special inductors, according to your production and/or mechanical requirements. 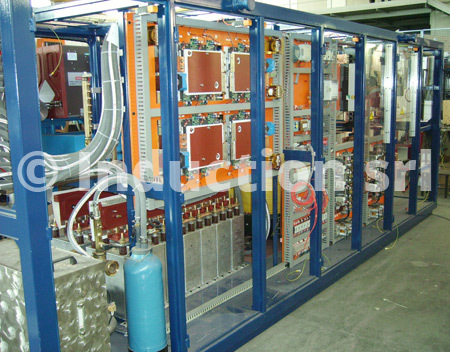 Induction converters are medium and high-frequency static generators, applied to resonant circuits, which allow heating through magnetic coupling. 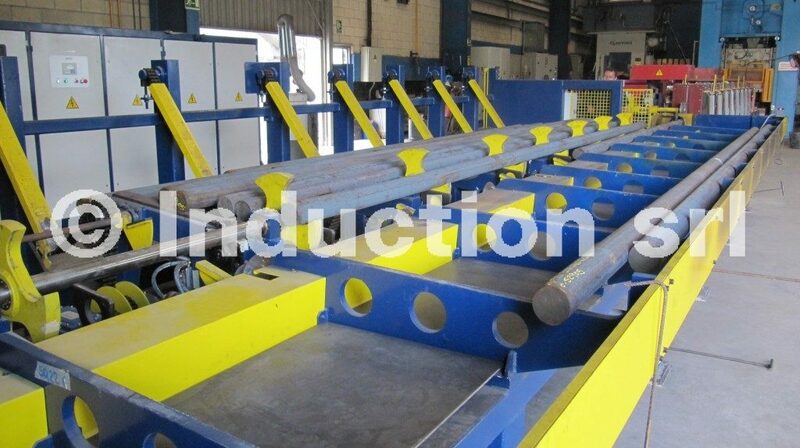 Induction’s experience led to the realization of series, parallel and L-L/C converters, according to the “state of the art” of technologies for induction heating. Continuous Research & Development activities led to totally digital converters, with the possibility of energy saving through Multi-System generators. The electrothermal application is characterized principally by an extremely high heating power density per volume unit, compared to any other industrial process. 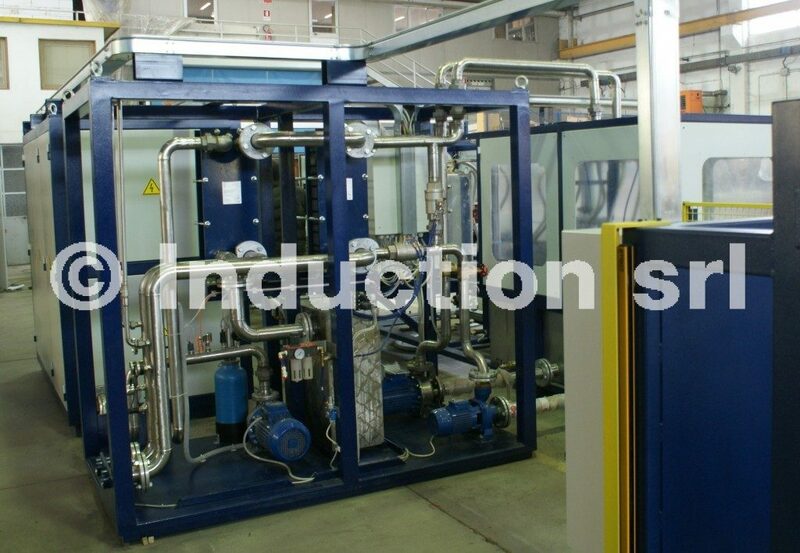 For this main reason, all Induction’s plants are equipped with an efficient cooling system in a closed loop, which allows obtaining an optimum thermal regime of all electronics and electric components.